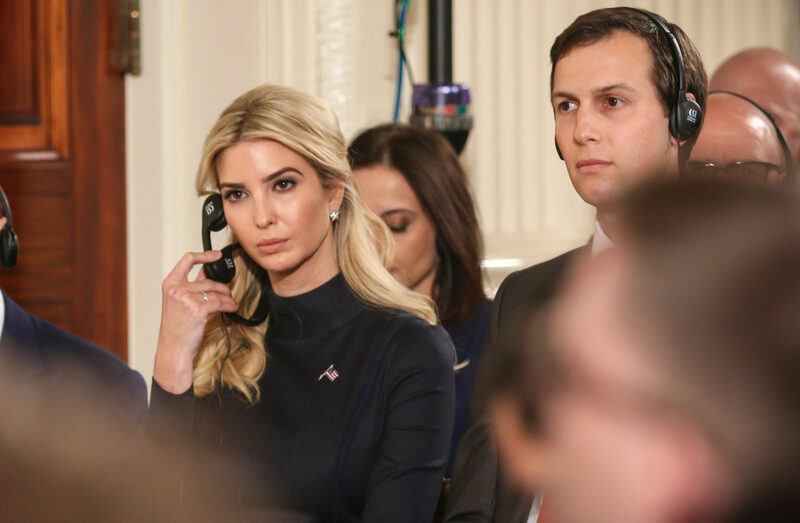 Emails obtained by American Oversight via a Freedom of Information Act (FOIA) request from the Treasury Department show that Ivanka Trump continued to use a personal account to send and receive emails related to government work even after joining the White House staff in late March. While the email addresses are heavily redacted, Ms. Trump and a Treasury official make clear that the “Ivanka Kushner” email address being used is her personal account – as noted in the following exchange. That same account is used by Ms. Trump to send and receive emails related to government business, including setting up meetings with foreign leaders and corresponding with administration officials. A further analysis shows multiple additional emails sent and received by Ms. Trump from an account that, based on the formatting of the email address, appears to have not been on a government server. This address shows formatting that is distinct from her husband’s White House email address, accounts used by other federal agencies, as well as from those used by senior officials with ‘alias’ email accounts – including former Chief of Staff Reince Priebus. This indicates that these emails to and from Ms. Trump were also sent using a private email account. The emails obtained by American Oversight also shed light on Ivanka Trump’s extremely unusual role in the White House. Despite no relevant experience or expertise, Ms. Trump routinely participated – along with her husband – in principal-level discussions on economic policy and tax reform. The documents also include an email chain including former Speaker Newt Gingrich, Fox News host Sean Hannity, and top administration officials. The email chain shows Secretary Mnuchin acknowledging the political and economic importance of signing tax reform into law by Thanksgiving – now an unlikely prospect.